Make the most of Orange's high quality landline network. Orange fiber optic network is monitored continuously and managed proactively by the Orange Network Operation Center. Our team of experts analyses the network’s traffic around the clock. Thanks to the collaboration with Orange Business Services, we offer you secure and reliable services in more than 180 countries and more than 900 cities. 2,100 km of fiber optic cable with speeds up to 10 Gbps and built-in redundancy. Wide range of access possibilities such as VDSL, Ethernet, fiber optics and even 4G! Easy access in Antwerp, Brussels or Ghent. South Charleroi Airport, Haasrode Business Park in Leuven, or the Hauts-Sarts industrial zone in Liège. 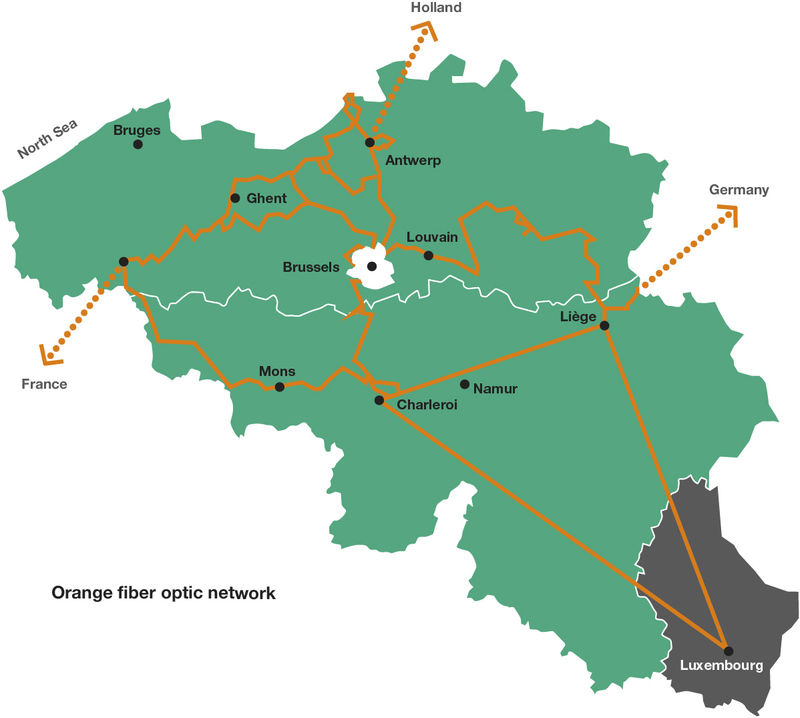 Fiber optic access to the largest cities in Belgium. Thanks to Orange’s fixed network, you can benefit from Fix Corporate services such as IP VPN and Corporate Internet.